Learning activities are always fun to do with young kids. This includes experiments that include simple science. Young kids will be fascinated by discovering how to make something that looks amazing, and creating a rainbow jar can later be displayed as a piece of art. A simple rainbow jar can easily be made by using various ingredients already in your kitchen. You will need to have a container for the ingredients that is clear. The best choice is a mason jar, or a leftover large pickle jar. Food coloring also will be an important item as you can add many types of colors to your rainbow jar to make it unique. The most important aspect of this experiment is explaining how the rainbow effect is created. This will be achieved by laying different ingredients. Heavier ingredients for your rainbow jar need to be added first and with the lighter ingredients layered on top. This is the most amazing part of this experiment as you will see the fascination on the faces of young kids. 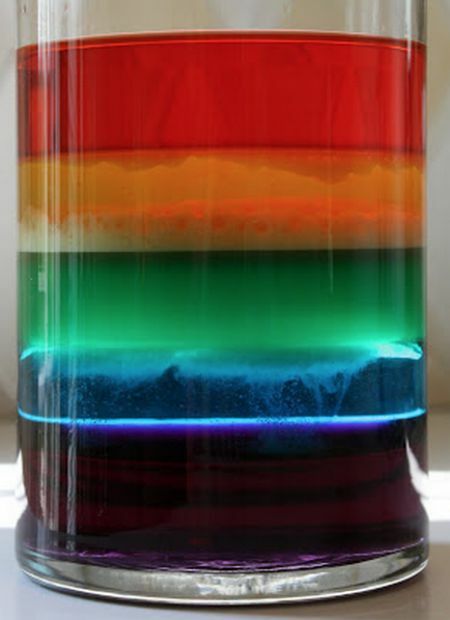 You can make a rainbow jar with kids of any age. Younger kids may have more fun as they will see the way different ingredients are layered in the jar. The completed experiment can be placed on top of your kitchen table, inside a cabinet, or anywhere in a child’s room. There is only one thing to keep in mind when creating a rainbow jar. You do not want any of the layers to mix together as this will ruin the experiment. Trial and error may be needed to see the type of result that is desired, but you will know the exact process to make many more.